Continuing its upward trend for the third straight day today, gold prices gained another Rs 50 to Rs 30,650 per 10 grams at the bullion market on the back of sustained buying by local jewellers amid firm global cues. However, silver eased by Rs 50 to Rs 38,100 per kg due to reduced offtake by industrial units and coin makers. 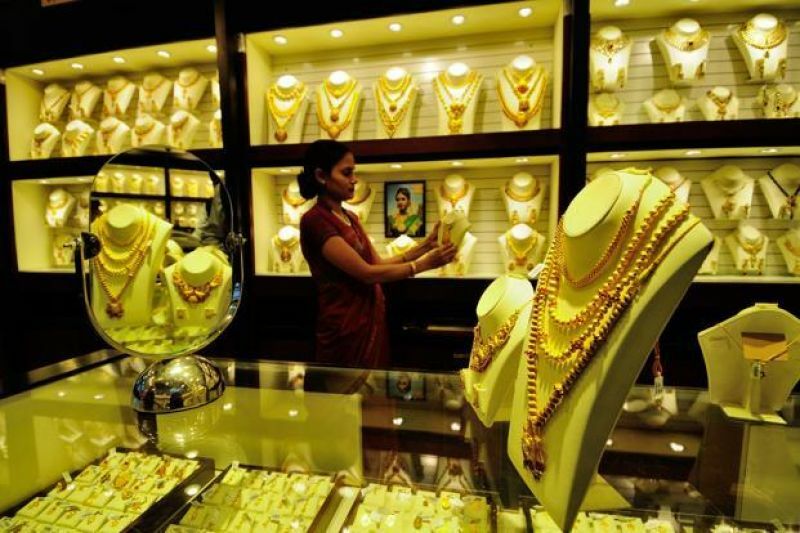 Bullion traders said persistent buying by local jewellers to meet the ongoing festive season demand at the domestic spot market and firm trend overseas kept gold higher. Globally, gold rose 0.45 per cent to USD 1,195.50 an ounce in New York in yesterday's trade. In the national capital, gold of 99.9 per cent and 99.5 per cent purity advanced by Rs 50 each to Rs 30,650 and Rs 30,500 per 10 grams, respectively. The precious metal had gained Rs 350 in the last two days. Sovereign gold also edged up by Rs 100 to Rs 24,500 per piece of eight grams. On the other hand, silver ready declined by Rs 50 to Rs 38,100 per kg, while weekly-based delivery held steady at Rs 36,950 per kg. Silver coins, however, remained unaltered at Rs 72,000 for buying and Rs 73,000 for selling of 100 pieces.